Horse gram or Kollu is a lentil with high rich protein. Horse gram podi is an easier and a tastier way to consume it. So, let's get it done today !! Fry urad dal without oil in a pan till it turns into golden brown. Then transfer this into a separate plate. Fry horse gram also without oil until the aroma comes out of lentil. Then transfer this into the plate with fried urad dal. Let both the dals cool down and then add salt and make a fine powder of it. Transfer this into an air tight container. You can use it with hot rice and oil / ghee with any pickle. If you love spicy and enjoy the last bit of rasam but are worried about the intesity of the spicy rasam, then add this powder along with your rasam and rice to enjoy both spicy but palatable rasam rice. Not to mention this makes your rasam even more tasty. Don't take my word, try it yourself and let me know. Whenever you are preparing any podi (powders) make sure that your hands are not wet and are clean. Even Pan, spatula, grinder jars should not be wet. 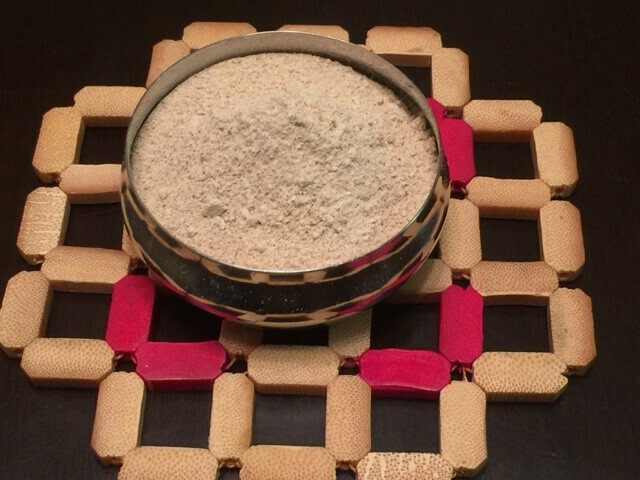 Before storing any podi (powder) in a container, it should be washed properly and well dried. While consuming also use only dry spoons and hands. Container should not be kept open for a long time otherwise you will loose the aroma of any podi. Note - Please check with your physician for dietary restrictions and also do ensure that you don't have anyone with allergies for such food before preparing or consuming it.